➡ For complete technical, specification and ordering information about Heat Tracing Cables suitable for process and hazardous area applications, please refer to the product sections listed below. Heat tracing provides frost protection and process temperature maintenance for chemicals, oils, hydrocarbons, steam, gas, compressed air and chilled water pipework. Also reliable frost protection to pipework exposed to freezing ambient temperatures including fire suppression and protection, potable water, sea and fresh water cooling pipes. 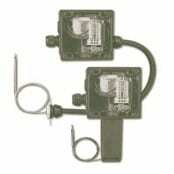 Thermon hazardous area heating cables deliver high process temperature maintenance and frost protection to pipework, instrument lines, tanks and drums using self-regulating, power limiting and constant wattage cable – with ATEX and IECEx Certification trace heating cables are suitable for Zone 1 and Zone 2 hazardous areas. 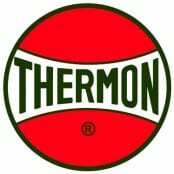 Thermon Cables: Temperature Maintenance Trace Heater Cables For Hazardous Area Location Pipework & Tank Heating. ATEX Directive Certified & Approved. What is Hazardous Area Zone 1? Zone 1 Hazardous Area – a potentially explosive atmosphere in which an explosive liquid or gas atmosphere is likely to occur in normal operation. Although not officially quantified according to IECEx or ATEX but commonly accepted by hazardous area industries as being prevalent for more than 10, but less than 1000 h/yr. What is Hazardous Area Zone 2? 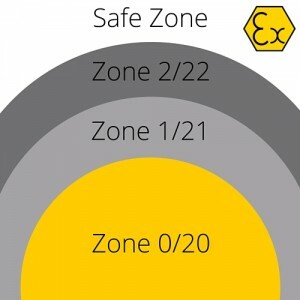 Zone 2 Hazardous Area – a potentially explosive atmosphere in which an explosive liquid or gas atmosphere is not likely to occur in normal operation and if it occurs will exist only for a short time. “Short time” is not officially quantified according to IECEx or ATEX but commonly accepted by hazardous area industries as being prevalent for less than 10h/yr. Process Pipework Heating: heating cables are compatible with ASTM standard pipework type including carbon steel, alloy-steel and stainless steels. 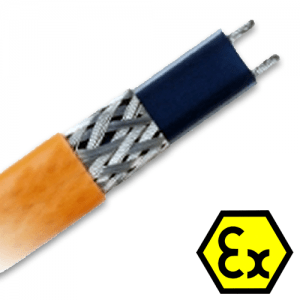 Specially modified fluoropolymer heater cable jackets protect cable from exposure to organic chemicals or corrosives atmospheres. Trace Heating Cables With International Hazardous Area Classifications – T&D supply hazardous area certified Electrical, Mechanical, Process & Instrumentation Equipment to UK and global oil, gas and petrochem projects. IECEx: International Electrotechnical Commission System for hazardous area certification relating to equipment, including electric heaters and heat tracing cables to be used in potentially explosive atmospheres. Should you require hazardous area heating technical advise or heat trace system design support, please contact us. T&D are Trained users of Thermon CompuTrace software to enable the design of Electric Trace Heating Systems for frost protection and process temperature maintenance of pipework in industrial and hazardous area locations.